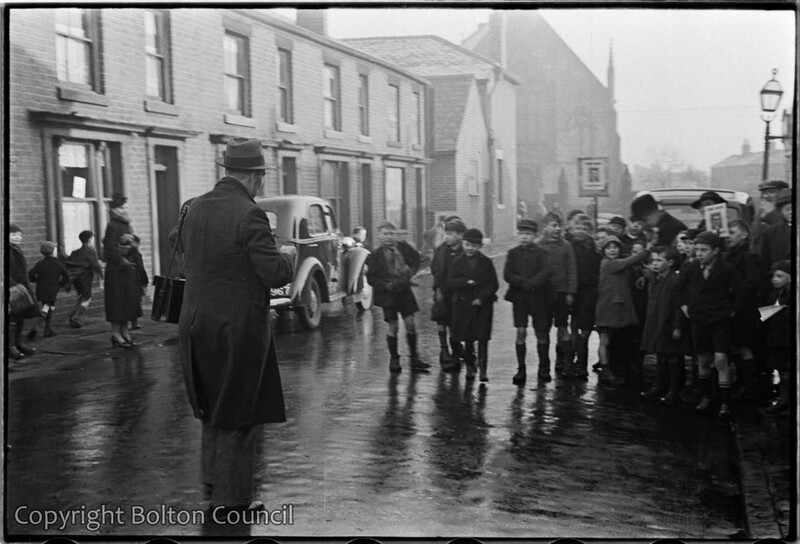 Children join in a rally for Labour candidate George Tomlinson on Bridgewater Street, on the day of the 1938 Farnworth by-election. The man at the front of the photograph is filming the scene. We think he may be local Labour councillor Ellis Clarke, who made a series of propaganda films for his party.